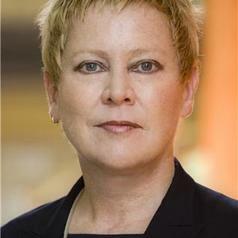 Elspeth Probyn is Professor of Gender & Cultural Studies at the University of Sydney. She has taught media, cultural studies and sociology at universities in Canada and the USA, and has held several prestigious visiting appointments around the world. Her work has helped to establish several new areas of scholarship – from embodied research methods to cultural studies of food. Professor Probyn is the author of several groundbreaking monographs and over a hundred articles and chapters across the fields of gender, media, and cultural studies, philosophy, cultural geography, anthropology and critical psychology. Her current research (funded by an ARC Discovery Project) analyses the sustainability of the production and consumption of fish, results of which are published in a new book, Esting the Ocean (Duke University Press, 2016).